The judgement of the District and Sessions Court in Gadchiroli, Maharashtra, on March 7, 2017, which sentenced the Delhi University professor and four other activists to life imprisonment, is an unprecedented provocation for any defender of human and democratic rights anywhere. GN Saibaba, wheelchair bound for life, was judged as one of the greatest dangers for Indiaʹs security! He is shoved in jail to die there as he is severely ill. The accusation and sentencing was based on ridiculous evidence under the provisions of the draconian Unlawful Activities Prevention Act which criminalizes the ideas and thoughts of militants. GN Saibaba, was persecuted and tried for his ideas and his actions for the oppressed social masses of India, for his resistance to the war waged by the MNCs and the state forces against the indigenous people. He was tried for his 35-year everyday struggle for the rights of Dalits, national minorities and every oppressed and poor human being. Also for his participation and leadership in the Revolutionary Democratic Front. And for his rich contribution to international solidarity and the anti-imperialist movement. This judgement is the result of strong pressure by the Indian government and the reactionary, fascist forces both locally and nationally. His sentence concerns all progressive and social activists in his country and abroad and must be challenged as such by the democratic, anti-imperialist and revolutionary organizations and movements. 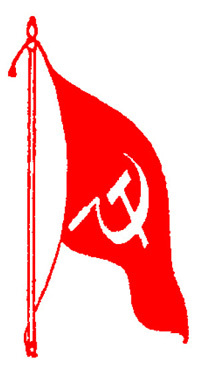 The Popular Resistance – Left Anti-imperialist Cooperation condemns this decision of the Indian court. 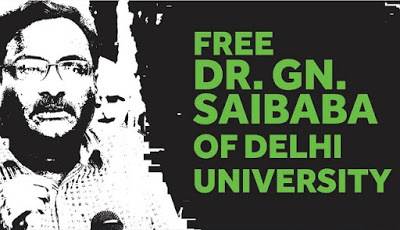 We send our unequivocal support to GN Saibaba, his comrades and the movement of support that grows in India. We demand the immediate reversal of this judgement and the release of GN Saibaba and all the sentenced activists. We declare our resolution to contribute in the development of an international movement of protest in order to save the life of GN Saibaba!